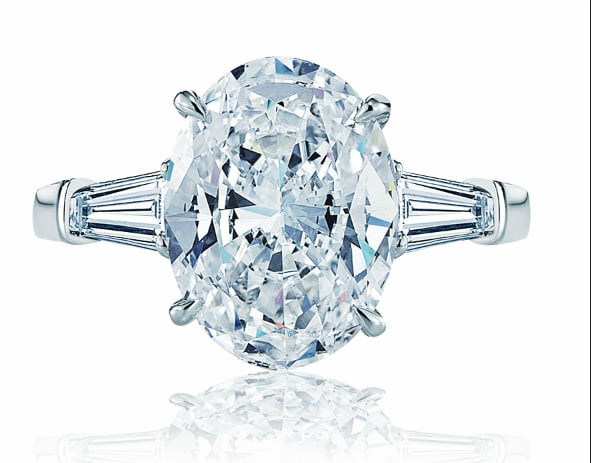 10 Carat Diamond Halo Engagement Ring. This show-stopper is everything a girl wants. 10 carats of perfection in the center with a stone that’s “F” color and SI clarity. The center is complimented by over 0.75 carats of matching round brilliant diamonds in color and clarity. 10 Carat Diamond Halo Engagement Ring. This show-stopper is everything a girl wants. 10 carats of perfection in the center with a stone that’s “F” color and SI clarity. The center is complimented by over 0.75 carats of matching round brilliant diamonds in color and clarity. We acquire the rarest and largest of diamonds found in Orange County and have the largest diamond selection in Southern California .This ring and many like it are crafted and designed in our Newport Beach location, west of Costa Mesa and north or Laguna Beach and Corona Del Mar.